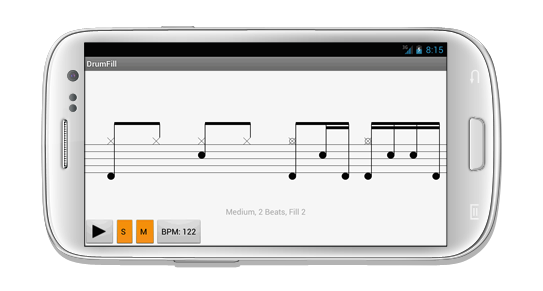 "a Must-Have for drummers and percussion players…"
The DrumFill app helps to get ideas for fill-ins while playing drums, expand them and bring them to perfection. 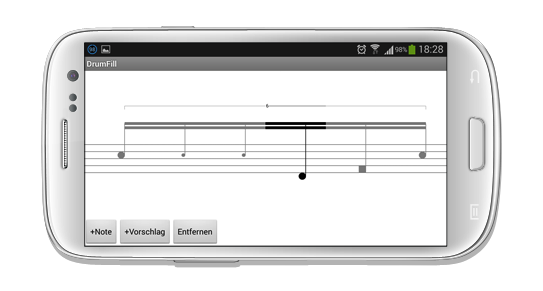 Using the built-in metronome you can learn to control and improve your timing from 40 to 220 bpm. Choose from over 300 fills, or generate completely new fills by the integrated random fill generator. With the integrated editor, you can edit and customize all predefined fills to create your own fills. Change the source, difficulty level and length of the fill to be displayed. Regardless of the source, you can always select a difficulty level and a fill-length. You can also select a random difficulty and random fill-length.